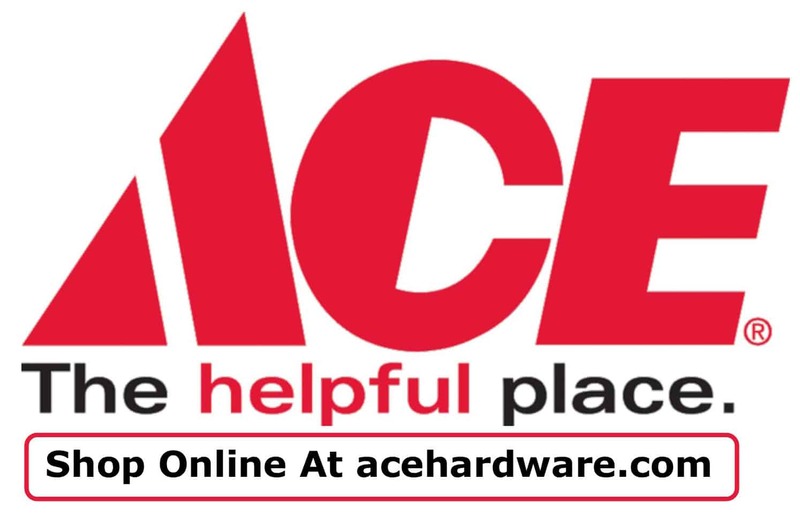 -by Ace Hardware For more great tips and advice like this, visit Ace Hardware Tips & Advice Page. 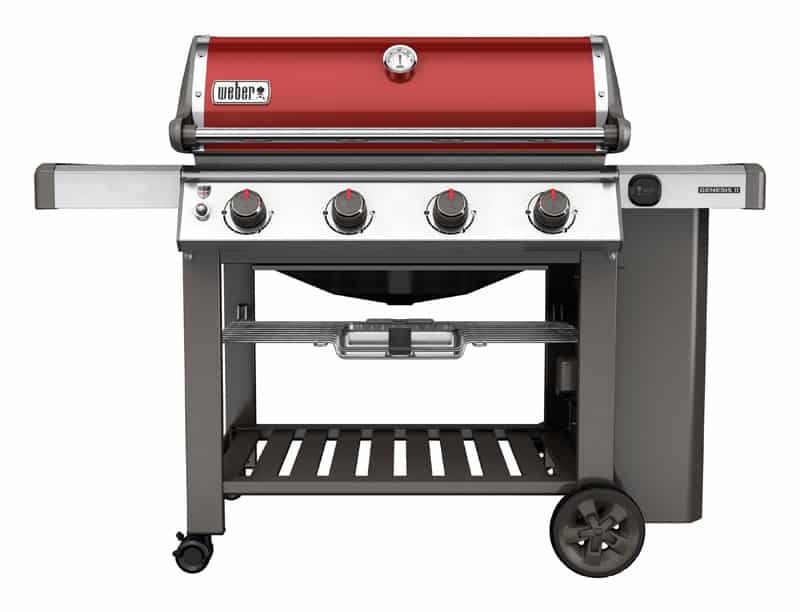 If you’re new to grilling or looking to upgrade your barbecue, this overview of some of the most popular types and styles of grills and accessories can help you decide what you want for your beginner’s outdoor kitchen, what features you can look for when you’re looking to take it up a notch, and even what to buy as a gift for the griller you know. How a Charcoal Grill Cooks: Charcoal briquettes or lump charcoal at the bottom of the grill provide the fuel and the flavor. You monitor temperature using a meat thermometer, or a lid thermometer and you control the temperature by adjusting a vent or damper that lets oxygen into the grill. How to Start a Charcoal Grill: You have a few options. You can use lighter fluid and a grill lighter. Try an electric starter to avoid chemical taste. Or, use a chimney starter. Lay lighter cubes on the grill grate and light them or add newspaper to the bottom of the chimney starter leaving space in the center and ignite it. Put it on the grate. Fill it with charcoal half to ¾ full. Coals will smoke and glow. Wait 10-15 minutes until coals turn gray, then pour coals into charcoal grate to cook. Versatile and easy to master! You can grill, sear, try indirect cooking, rotisserie, smoking. They flavor food from the juices vaporizing, cooking over an open flame and from smoking chips and accessories. 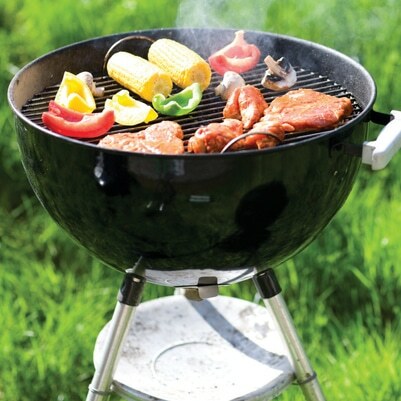 How a Gas Grill Cooks: A propane tank or connection for natural gas fuel the cooking. Burners spread flame over the cooking surface and stainless steel flavoring bars form a tent over the burners to eliminate flare-ups, vaporize drippings and add flavor back into the food. Control the temperature from knobs similar to a stovetop and monitor the temperature from an external thermometer or a digital meat thermometer. How to Start a Gas Grill: Open the lid so gas won’t build up under the hood. Let gas in by opening the valve on the propane tank or gas supply. Push the starter – this sparks to ignite the gas. It’s up to temperature in minutes. They’re great for smoking and because they can reach very high heat that’s ideal for grilling, baking and searing. All of it can be done in one unit, saving time and cost of buying additional equipment. This makes them an exceptional value even at a higher price point. How a Ceramic Grill Cooks: Hardwood natural lump charcoal fuels the cooking for loads of smoky wood fired flavor without chemicals. And, they’re very fuel efficient. Premium hardwood lump charcoal doesn’t turn to ash and smothers easily when you cut off air. You can relight the coal to get multiple uses out of one batch. The shape allows air to circulate around the food for uniform cooking. Control the temperature precisely by adjusting a draft door. The ceramic is great insulation so it uses less heat overall to cook helps meat stay moist. Ceramic heat deflectors allow for indirect and more versatile cooking. How to Start a Ceramic Grill: You can light the coals with a chimney starter, fire starter cubes, an electric charcoal starter or an electric blow lighter. Open the draft door at the bottom of the grill, leave the dome up. After about 10 minutes you close the dome. Some models come with all the accessories to bake, smoke and grill right out of the box. Innovative features – multi level cooking rack to create multiple cooking zones. Slide out ash drawer for easy clean up. Easy setup – mostly pre-assembled. They combine taste of food cooked over wood with ease of gas grill. It’s a common misconception that wood pellet grills are only used by people who enter competitions and write food blogs. But they cook every piece of meat evenly, so even a novice can smoke, grill, bake, braise and roast with one grill. The convenience of setting it and leaving it alone saves time. How it Cooks: They use wood pellets for fuel to cook the food and run on very little electricity. The pellets come in a variety of flavors and can infuse your food with different flavors. When you start the grill, an auger continuously pushes pellets into the firepot and air is pushed into the firepot by a fan to precisely control the temperature of the fire. A deflector plate spreads out heat below the cooking surface to circulate heat like a convention oven. In fact, the hot smoky air circulates around the entire cooking chamber cooking food evenly – so it cooks like a rotisserie without needing the attachment. How to Start It: You load pellets in a hopper and start the grill and a digital thermostat lets you maintain a specific temperature. The rest happens automatically. You don’t need a rotisserie and you may not even need to turn your food. This nice set-it-and-forget-it option makes it a good option for beginners or advanced grillers. Barbecue smokers are used for cooking meats at low temperatures over a longer period of time. Using different woods will create unique flavors. Bullet style smokers are great for smaller pieces of meat. Cabinet style smokers can handle more cuts of meat and larger pieces. It’s popular to have a grill for smoking small dishes and a separate smoker for slow cooking larger cuts. How it Cooks: The base contains the heat source – charcoal, gas or electricity. A liquid pan and water soaked wood chips or chunks are set above the heat source to create smoke and to prevent the food from drying out. You place your food on the grill racks above. A built in thermometer can help monitor temperature and a damper helps you regulate the temperature by allowing air in. Fuel door lets you add fuel or wood chips without opening door and losing heat. 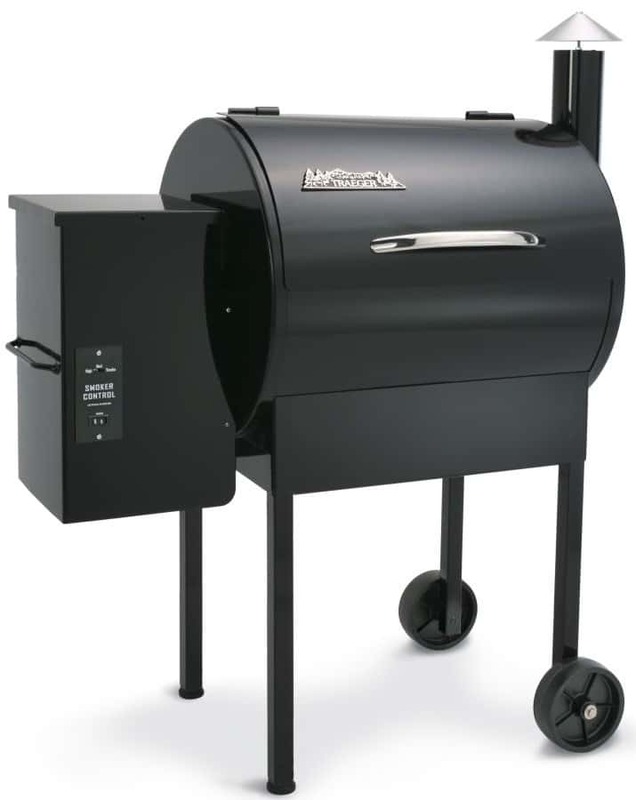 How to Start It: Charcoal, gas or electric smokers operate and start slightly differently so read your owner’s manual. An electric start is the easiest. At the most basic level, you’ll add wood chips and a pan of water near the heat source. You may need to soak wood chips or add water as you cook. Add your food to the grilling racks. You can also try adding beverages, marinades or herbs and spices to the water pan for added flavor. From preparing a traditional Thanksgiving dinner to tailgating at the game, a deep fryer prepares juicy, tender, yet deliciously crispy food. And when it comes to turkey it can deliver the cooked bird in half the time of an oven-roasted bird. How it Cooks: Food is placed in a basket and submerged in oil heated by a propane stove base. Cooking with hot oil can be extremely dangerous. Be sure to follow all instructions and have a fire extinguisher on hand when using your turkey fryer. An oil free eliminates oil by using radiant heat to cook your food.